With a granddaughter, I shoot a lot of home videos and share them to the family. I upload all my video directly to YouTube. Then I use the YouTube editor to edit and consolidate my videos into a single video. I don't do any transitions or captions but you can do that there too. Then I use ClipConverter to export the edited video from YouTube to my PC's desktop. I always download in the highest resolution available. Sometimes it takes YouTube hours to present the HD version so be patient. Next I take the downloaded file and UPLOAD it to Google+. In my case I put it in the same Google+ album with the photos from a given event so that I have a single repository of an event. Do you backup? I sure hope you do. Do you test your restore? What? No, you say? My daily driver ThinkPad X201 only came with a 160GB drive. I picked up a 1TB Toshiba for $55 and started looking for a way to clone to it. Then I thought that I use Windows 7's Windows Backup to make a system image every month. So why not use one of these to "clone" to the new drive? I ran my system image backup as usual to an external USB drive. Normally when the system image is complete I rename the WindowsImageBackup folder to append the date and system name. To "test" my restore, I renamed the folder that I wanted to restore back to WindowsImageBackup. Then I shutdown the X201 and swapped the 160GB drive for the 1TB drive. I plugged in a USB version of Windows 7 64-bit System Repair Disk. I didn't plug in my backup drive yet. I booted from the System Repair Disk and chose "System Image Recovery." Then I plugged in my backup drive. I had to click on "Retry" and then it found the image I had just made. I just clicked on through and the restore started. It ran for a couple of hours and automatically booted back into Windows. Just for giggles I ran SpinRite on the new 1TB drive. That was really easy and now I'm confident that my system image backups work. The restore only created a 160GB partition so I used Windows 7's Disk Management to resize. There's a good tutorial on this process here. Google's Hangouts (Chrome for Windows) is changing almost daily. Google has been integrating SMS and Google Voice and now they've moved Hangouts to a floating window. The Chrome for Windows app also adds a Chrome App Launcher to the desktop and taskbar. 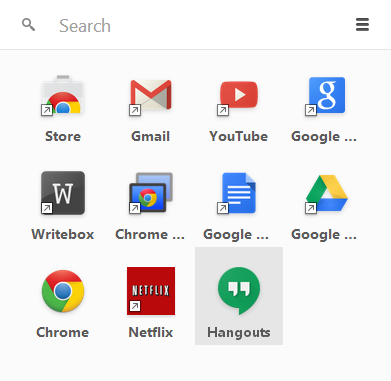 Not only does it launch Hangouts but also the other apps you have installed in Chrome. -- Native app experience. Hangouts runs in the background and notifies you of new messages and incoming calls with animated notifications. Launch Hangouts from the Start menu, have it pinned on your taskbar and switch apps using Alt+Tab. -- Always-on-top avatars. Your friends’ avatars animate on your screen and stay on top so you never miss an important message. -- Auto-minimizing chat windows. Chat windows auto minimize when you’re inactive to avoid cluttering your screen. -- Message previews. Hover over any avatar to get a peek at the most recent message. -- Drag and drop. Position the app anywhere on your screen, including multi-monitor configurations. You can also pop out important conversations and pin them to your desktop. -- Keyboard Shortcuts. Navigate between chats quickly using your favorite Chrome shortcuts. -- Google Voice support. Connect your Google Voice account to make calls, send and receive SMS, and access your voicemail. 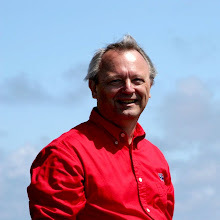 I still grumble about some features (or lack of features) of Google Plus Photos. However, some of the features are awesome. 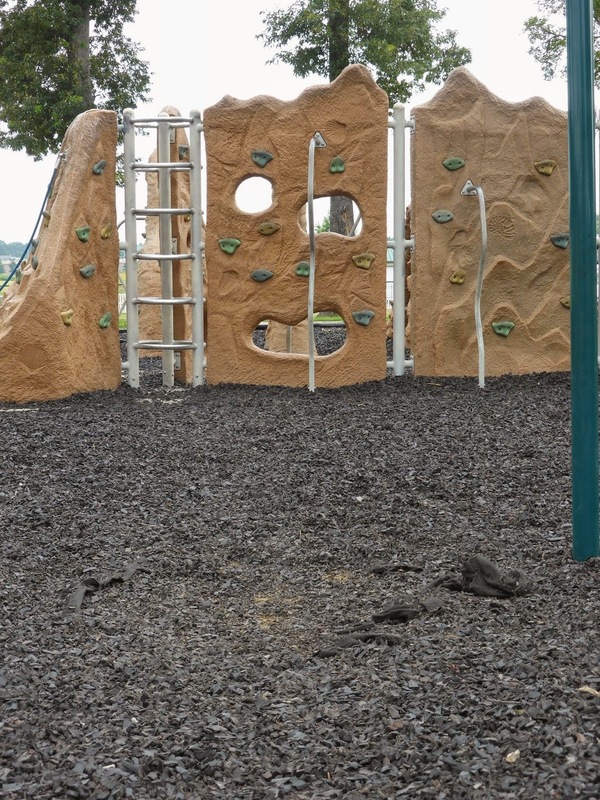 Recently we took our granddaughter to a nearby park. I took a sequence of photos of her while she was playing on the swing. Google Plus detected that these were framed similarly and automatically created an an animated gif of her swinging. That's awesome but that ain't nothing. The next thing that Google Plus did was that it determined that these same photos had a common background and erased her from the pictures and replaced her with the appropriate background. I think Microsoft had something similar several years back that are mentioned here and here. If this was ever productized I can't find it. The animated gif image in this post while an accurate representation of the Auto Awesome image was obfuscated with PhotoFiltre and recreated with Free Gif Maker.